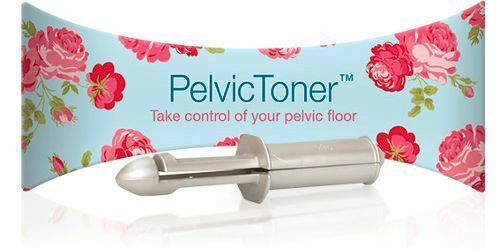 The PelvicToner enables women to strengthen their pelvic floor, simply and quickly in the privacy of their own home. Arnold Kegel first described pelvic floor exercises as a treatment option in 1948 and it has been an established treatment ever since, bringing a number of clear health benefits. Doctors still agree that undertaking regular pelvic floor (or "Kegel") exercises to strengthen the pelvic floor muscles is the most effective treatment for most women with stress incontinence - it is the primary course of treatment in suitable cases and recommended by NICE. The PelvicToner is specifically designed to incorporate the key principles identified by Kegel - positive feed back, resistance for effective exercise and progressive resistance - to make your exercise more effective as you improve, achieving an 80% cure rate. It is very simple to use and gets results very quickly, especially when compared to other treatments (or "non-treatments") on offer. To read or download the full instructions click here. Watch our animated demonstration of how the PelvicToner works to strengthen your pelvic floor muslces.